Overland remains the most used means of transport to deliver your goods from door to door. Whether by road or by rail, SOMATRA offers a comprehensive and made-to-measure service. One of our collaborators will personally assist you in the administrative formalities and in the choice of the methods of transport most suitable to your needs and means. 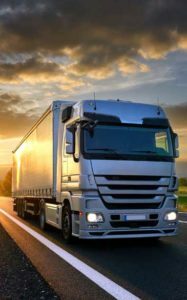 With our comprehensive service and customs freight forwarding office, our HGV drivers save time at the border by simply retrieving completed documents. We can therefore deliver in express deadlines so giving you peace of mind. We take care of everything. Contact us to choose the solution that best suits you, no matter what combination of transport you wish: rail, road, intermodal (rail and road) and choice of road network. We transport your goods and merchandise anywhere in Switzerland and around the world.